I hadn't really thought about it before, but I may not be able to even do this. This will require me to reach 100; 10 levels between release 11/13 and before the end of the anniversary party on 1/6/2015. 54 days. The last week, I've only been able to log about 45 minutes leveling up my druid. I am not sure I'll be able to level up my warlock in 7 weeeks!! I'll work on it as a core-hound mount sounds CRAZY! In my case, I have 10 characters, 4 current tanking class (soon to have 5 tanks). I think I'll be leveling two characters (Paladin, Death Knight) at the same time. 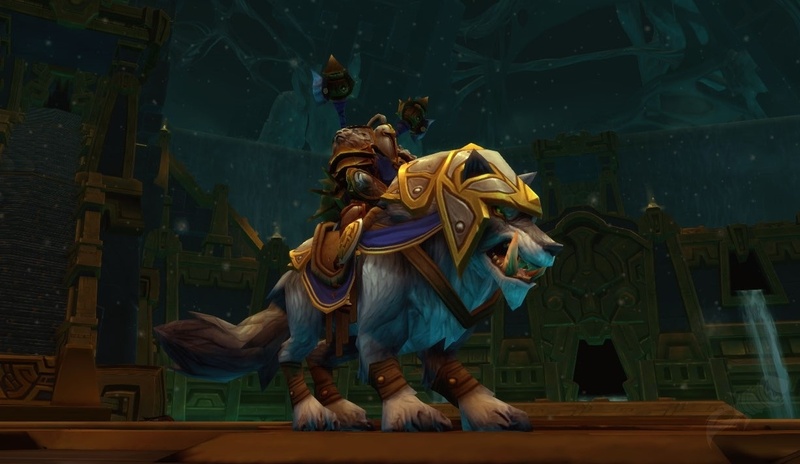 At least with mounts being account bound, you should only need to complete the raid once!